When preaching at the installation of one of our pastors, I often remind the congregation that their pastor is not their Savior. This usually warrants a chuckle or two, but it’s not intended to be humorous! I wish you could hear how call committees and congregations speak of their yet-to-be-called new pastor in such glowing terms and with such high expectations that no one will be able to live up to them! Many believe the new pastor will bring all the children, youth and inactive folks back to church the first month, while visiting every home, increasing membership and stewardship, restoring the church to its glory days post-WWII, when the pews were full to overflowing and there was always talk of expanding the church building! And pastors must confess we are not always the most humble and unassuming servants, either. 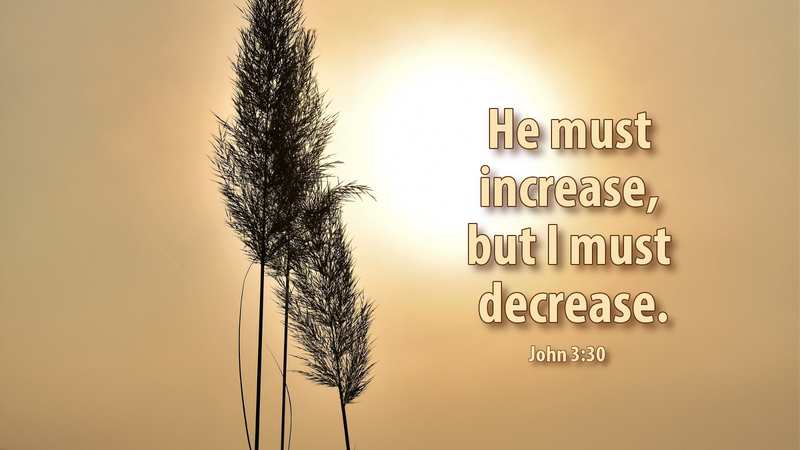 The motto for every pastor ought always to be, “Jesus must increase, but I must decrease!” This is not to say that the pastor is unimportant or unnecessary. God calls pastors to be His ministers of Word and Sacrament, for gosh sakes! We are to treat our pastors with kindness and respect as they seek to bring us the means of grace, being faithful under-shepherds of the flock. But pastors are simply under-shepherds and ministers of God’s gifts of grace. No more and no less. With John the Baptizer, we wish to always be pointing to Jesus as Lord and Savior—not to ourselves and our own identity or personhood. This is why, historically, pastors have worn simple black clothing during the week, and robes to cover themselves on Sunday—to remind themselves and everyone else—that it’s all about Jesus! Prayer: Lord God, help us to always be pointing to Jesus, that He increase and I decrease. Amen. Advent Action: Add a new Christmas ornament or decoration that is all about Jesus—and maybe make this a tradition!